Are you an entrepreneur looking to start your own business? Maybe you have decided, “hey, I don’t actually want to sell my idea, I want to open a business myself.” You may want to consider forming an LLC. If you want to form an LLC online, it is certainly doable. And with the help of this guide, it will be easy to open your own business in no time. Before you go ahead and file the paperwork to become an LLC or start creating your food truck business plan, you should know exactly what an LLC is. LLC stands for limited liabilities company. That means that should anything ever go wrong with your business finances, you will not be held liable. If your business defaults on a loan, for example, the bank will not be able to foreclose your house or repossess your car. There are many other types of businesses that you can form, including an S-corp, C-corp or Sole Proprietorship. However, an LLC is the most common type of small business for good reason, and choosing to form an LLC is a wise decision. A PLLC, or Professional Service Limited Liability Company, is slightly different from a traditional LLC. PLLCs are exclusively for businesses that provide services from particular occupations. These PLLC occupations include attorneys, counselors-at-law, licensed physicians and similar. If you plan to provide services as a doctor or lawyer, make sure that you learn more about how to form a PLLC instead of forming an LLC online incorrectly. Forming an LLC online is no different than forming an LLC with paperwork and visits to your local government agency. There are several things that you will need to gather before going ahead with the online steps to form an LLC. First and foremost, you are going to want to choose a business name. Then once you have done that, if you have multiple partners you should create an operating agreement. An operating agreement will help prevent or quickly settle any disputes that may arise down the road. If you are the sole owner of the business, you can skip this step. Then once you have completed these tasks, you can start the online paperwork for LLC formation. 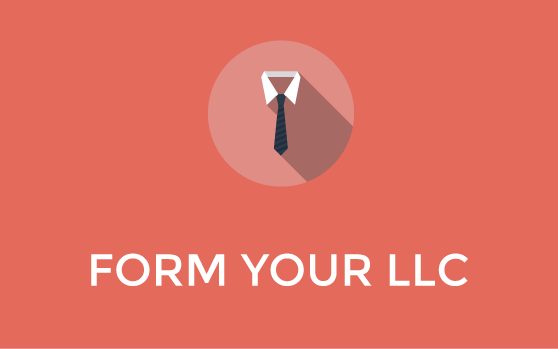 There are many legal websites that have services to help you form your LLC online. However, not all are equal. LegalZoom is an incredibly popular option, probably due, in part, to the many commercials they run. However, there are other ways to form an LLC online. MyCorporation and RocketLawyer are two other options you may want to consider. Be sure to price shop and, more importantly, be sure that whichever website you choose to form an online LLC is recognized by your state. You do not want to deal with a possible lawsuit down the road just because you used an untrustworthy site just to save a couple bucks. Make sure the legal website you choose to form your LLC is legitimate and recognized by your state as such. One huge advantage to forming an LLC online is the availability of additional support features. Be sure that whatever website you choose offers you the most bang for you buck. Some services will provide legal support for a couple months after LLC formation, just to answer any legal questions you have and ensure that you are satisfied with their services. This is an incredible benefit that is not provided when you file for an LLC in person. So if you are going to apply for an LLC online, try to find a website that offers you legal support during and after the application process. It may simplify things to use an online service to form an LLC however, it may not be the most cost effective solution. If you do not have a lot of start-up capital to spare, you may want to consider the old-fashioned alternative. Of course, you will still have to spend some money for the LLC formation fees, but it will be a lot cheaper than the services provided online. At the end of the application process, you will still have the same results and more money to invest in other parts of the business. Consider the old-fashioned way of forming an LLC if you want to put more money towards another area of your business. If you want to form an LLC, above is your complete guide. It is not time to worry about office design just yet. Make sure you have decided upon a name for your business and, if you have multiple partners, hammer out an operating agreement to ensure a smooth partnership. Then check out the many options you have to form an LLC online. Be sure to price shop and consider any additional features these websites may offer. And remember, if you have limited resources and would rather invest your money into other areas of the business, forming an LLC the old-fashioned way may be a bit more difficult, but it is more cost effective in the end.